Angkor Archaeological Park! Angkor Wat! Angkor Thom! Bayon! 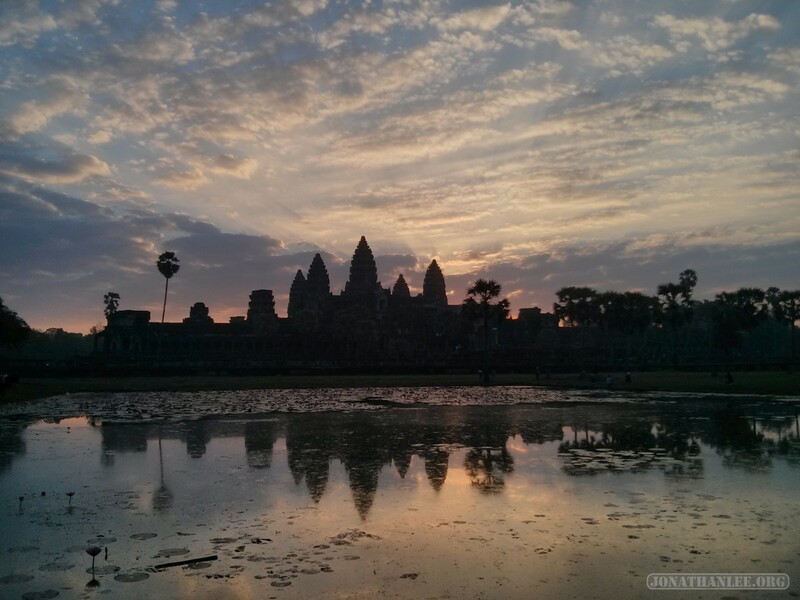 If not for Angkor Park, Siem Reap would be utterly devoid of tourists. But as it is, every day a phalanx of tourists descend upon the park, and it’s probably one of Cambodia’s greatest sources of income ($20 per person per day for an access permit!) Many people choose to do Angkor Park slowly, over the course of a couple of days, but I chose to do a grand one-day tour, from sunrise to sunset, and visiting all the most famous temples of Angkor Archaeological Park. This will be a very photo-intensive post!